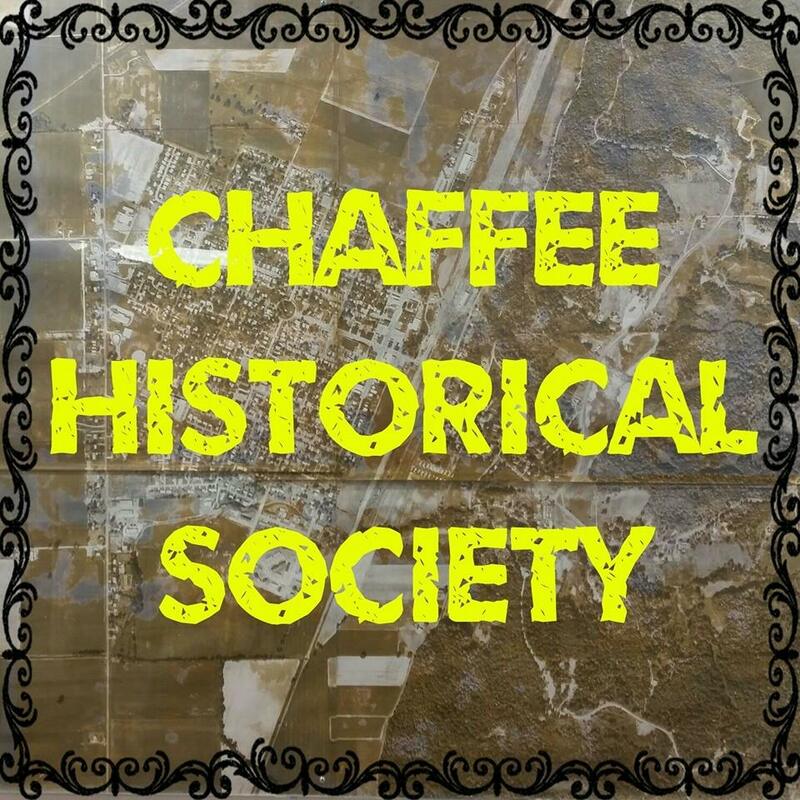 Collection of Stories and Newspaper Clippings specifically explaining the History of our wonderful Chaffee Historical Society and our Chaffee Historical Museum. Betty Mirly discovered enough information to write a book on the history of her hometown. And she doesn’t even like history. Mirly, who has lived in Chaffee for about 50 years, found plenty of interesting stories while researching the town’s origins. One focuses on the town’s name. There are two conflicting stories about how the town got its name in 1905. One group believes that the town was named after a St. Louis real estate developer. Another believes it was named after a war hero, Edna R. Chaffee, who served in the Spanish-American War. “Although no one knows for certain, it is more likely that the town was named after the Chaffee Real Estate Company”, Mirly said. The company bought the land for the city, and all the city streets except two, Heeb and Helen streets — were named after prominent developers. Of the 1,800 acres that became the city of Chaffee, 150 acres were later given to the railroad for a terminal. “The railroad is what put Chaffee on the map,” Mirly said, adding that the site was chosen because it was halfway between St. Louis and Memphis, Tenn.
During its early years, the town was infamous among railroad workers because of its malaria epidemic. Many of the workers lived in tents near the railroad station, which used to be part of a swamp. Now Mirly wants to compile some of those facts and stories into a book. “The hardest thing is deciding where to start,” she said. “It’s like hitting the jackpot.” She hopes to include a history of the schools, churches and businesses in the town. “I feel that Chaffee, for its population, has more churches than other small towns around,” she said. Although the town doesn’t have any celebration planned, it has held celebrations for its 50th and 75th anniversaries. “It will be interesting to see what they do in 2005,” she said. Preserving Chaffee’s railroad history is just part of the job for a newly-formed historical society. Residents formed the Chaffee Historical Society last April in this Scott County railroad town. The organization usually meets at 7:00 p.m. on the second Tuesday of each month at the Chaffee Nutrition Center. Officers have been elected. The president is Donna Cannon. “The group is just getting off the ground, so everybody is playing it by ear”, says Betty Mirly, one of its founding members and vice president. The first meeting only drew six people: Bill and Donna Cannon, Jim Stubbs, Betty Mirly, Marcus Seyer, and Robert Harris. But many more have attended meetings as the year progressed. “A group of residents had wanted to form the society for many years, but nothing happened until Mayor Bill Cannon called a meeting,” said Donna Cannon. The historical society plans to open a museum and hold its meetings there. Cannon said the temportary museum will be located in the old Rice Insurance Agency building on North Main. Members are considering buying land, or accepting a donation of property, and building a permanent museum. Members raise money for projects and one of their first fund raising efforts was a food stand at a local railroad auction. The money collected helped with the society’s operating costs. Dozens of people enjoyed the open house held last Sunday at the temporary home of the Chaffee Historical Society Museum. Memorabilia, much of it relating to Chaffee’s heritage as a railroad town, filled several rooms in the building at 112 N. Main. The society was formed in April 1996 through the efforts of a handful of residents. There are now 67 families involved with the society and its museum. Society members procured initial funding for the organization through food stands at several auctions. Earlier this year Janice Thornton Rice Haas loaned the society a building so displays of old photographs, newspapers, books, clothes and railroad memorabilia could enthrall visitors. My grandmother was the first baby born in Chaffee, Chaffee Fay Price.